Tired of formatting? Are your Word documents misbehaving? Are you spending more time beautifying your document than actually writing? No fear, Latex is here! Latex (pronounced lay-tek) is an open source ‘ecosystem’ of software designed for preparing professional-looking documents with minimal hassle. Latex allows you to focus on content creation and takes care of the aesthetics, cross-referencing and indexing. It is available for all modern OS’s including Windows and Mac. This workshop is designed to get you started on using and understanding Latex. The workshop will involve hands-on creation of a sample report. You are encouraged to bring your own laptop. Any type of research report, whether a paper or seminar is best thought of as a story. Consciously or otherwise, we all understand the structure of a story and how it satisfies the expectations of the readers or audience. In the workshop’s morning session I will first give a general seminar on how the storytelling approach can be used in reporting science, and how it can actually help you to improve the science. We will then have a tea-break after which we will consider, more specifically, how to implement the ideas from the first talk in a seminar presentation. A major focus of this session will be how to prevent a presentation aid like Powerpoint from disrupting the momentum of your story. In the afternoon, three students will present talks, and each talk will be analysed in detail. This will help to reinforce concepts discussed in the morning session. To apply – Number of seats will be limited to 20. First preference would be given to students presenting in the in-house symposium. To participate write back to us and please mention if you’d like to present in the afternoon session. GIS and Species Distribution Models (SDMs) are versatile and useful tools for asking biodiversity questions. This course is designed to allow participants to learn how to design good studies and use various techniques to best analyse, project and interpret patterns and relationships between biodiversity and other factors. Furthermore, the course will also teach attendees how to statistically analyse their own data, and conduct their own studies using some of these techniques. Please register by sending email to ess@ces.iisc.ernet.in on or before 30th July 2011. Registration is must for participation and only limited seating is available. The participants are required to get their laptops. This is the detailed Outline of workshop (click to download). 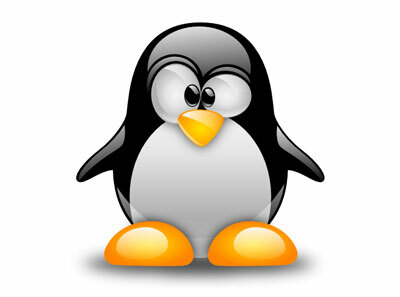 What – Introduction to Lotka-Volterra Laboratory and Linux Workshop. 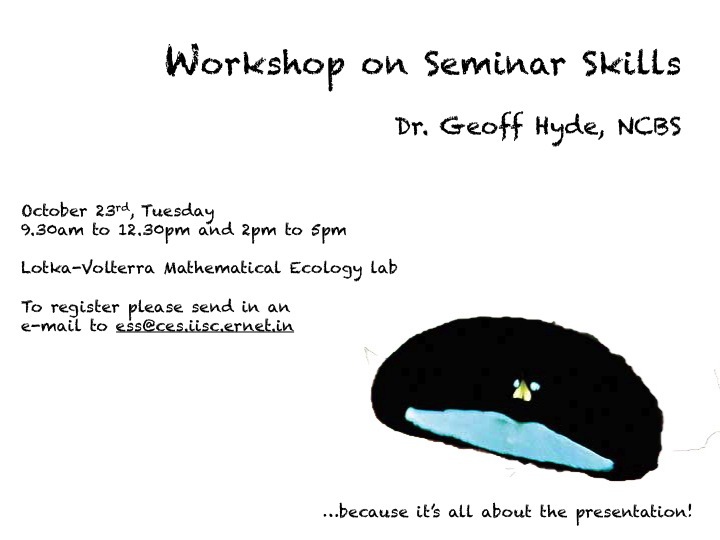 The aim of this “workshop” is to kick-start our new Lotka-Volterra Mathematical Ecology Laboratory and introduce people to linux platform on which these are based. It will focus on practical usage of Linux systems and how simple utilities like Matlab, R, phylogenetic and GIS analysis can be performed on open source based operating systems. Please register by sending email to ess@ces on or before 26th July 2011. Registration is must for participation and only limited seating is available.